Around 45 million travellers come to revel in the wonders of France’s capital, Paris, every year. The city is perhaps the most admired and loved city in the world, famous not only for its iconic landmarks, but also for its beautiful architecture, its history and its bustling streets. Among the world’s most beautiful, romantic cities, Paris is also a consistently influential place for culture, fashion and the culinary arts. As a world centre for design, it is hardly surprising that Paris is excellent for shopping. Paris is also, of course, a top city for dining, as it features both excellent bistro food and top Michelin-starred restaurants. Travellers to France should not stop at Paris alone, however. Not too far away, the magnificent, world-renowned Champagne region beckons travellers with its charm, elegance and, of course, its champagne. Reims is the central city of the Champagne region and several of the largest producers of champagne have offices in Reims. However, champagne is far from the only draw in Reims, which also has a great deal of compelling history. The famous cathedral is one of the most beautiful medieval structures in Europe and was the site of a thousand years of French coronations. While World War I destroyed many old houses in Reims, the city was rebuilt in a wonderful Art Deco style in the 1920s, making it extraordinarily beautiful in more than one way. Reims is an easy city to travel around, with much to see in addition to good shopping and, this being France, good dining. Escorted holidays are among the best ways to see Paris and Reims. Guided walking tours and the services of tour managers will be useful when seeking to understand the astonishing amount of history on every other street in both Paris and Reims. Seeing the great sights of Paris is of course a must, but Paris also offers a great deal of charm and culture outside the Louvre and the Eiffel Tower. Travellers should see Montmartre, the world-famous artists’ quarter in Paris, for example, and a guided tour is one good way to encounter the area. In Reims, visiting a champagne house is a must and there, also, choosing an escorted holiday will pay off. Newmarket Holidays has a great deal of experience in taking travellers to France, having been arranging travel to Paris since 1983. This is but one of the reasons it is a good choice for an escorted holiday to France. As the largest country in the European Union and the third most populated country in Europe, France features an endless number of opportunities for visitors. They might indulge gourmet tendencies in the famous Riviera region, enjoy some of Europe’s most beautiful scenery, or explore the remarkable cities and culture that has made France a top tourist attraction for so long. Everywhere in France has that distinctive French flavour, but travellers to France will quickly learn that France has more to offer than the Parisian stereotype. It is a country with abundant rural pleasures as well as urban ones. Further, as one of only three countries in the world with both Atlantic and Mediterranean coastlines, France features a diversity of scenery and climates ranging from Mediterranean to Alpine. If culture is one’s interest, few places are more fascinating than France, a cultural and artistic leader in the world for many centuries. Architecture throughout France is also remarkable, ranging from the historic to the modern and visionary. Given the diversity of the various regions in France and all they have to offer, it is a good idea to select a holiday that captures the essence of one or two regions of the country and not try to fit too much in. An attempt to encapsulate France in all its beauty during one trip will likely have the effect of failing to take in the distinct character of various French regions. One of the most beautiful and simply enjoyable holidays to France is surely a holiday to the Riviera region. The region can offer both excitement and exploration as well as rest and relaxation. The food in this region, often sourced from the freshest local ingredients, is renowned around the world in gourmet circles. The region of the French Riviera, including the famous resort town of Cannes, is simply a distillation of the good life in all its senses. 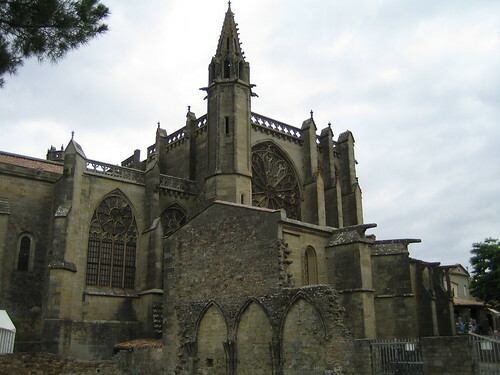 Another option is to explore the French countryside in Provence and also in the Languedoc region. Such a journey would include remarkable historical sights, such as the world heritage site of Pont du Gard, in addition to a glimpse of rural French life. Few cities are more visually remarkable in their setting than Carcassonne, a historic walled fortress town, and papal Avignon is also a highlight of a visit to this region. Newmarket Holidays offers various escorted holidays to France. Mention France as a holiday destination and the mind instantly becomes filled with images of fine wine, delicious cheese, sunshine and chateaux. Despite it being just a short hop across the English Channel, Newmarket Holidays knows that France is a world away from the UK. Newmarket Holidays have put together a range of French tours to suit every taste. In the south-east of France, there lies a number of stunning towns and cities that will captivate the typical Newmarket Holidays traveller. On its tour of Carcassonne, Avignon and Provence, Newmarket Holidays offers a six-night break at fantastic value for money. Accommodation for Newmarket Holidays travellers is available to suit a range of budgets, and is located in the heart of historic medieval Carcassonne or on the outskirts of this charming walled city. Flights to and from the UK are included in the tour price, as are a number of spectacular highlights that capture the cultural essence of this timeless landscape. Newmarket Holidays customers benefit from a guided walking tour of Carcassonne, with its dramatic battlements and fairy-tale turrets. Overlooking the river Aude from a dominant position, the fortress is one of the most celebrated and well-preserved of the Cathar-castles that are scattered across the Langeudoc region. Newmarket Holidays customers will delight in the myriad winding streets that weave their way through the city. The history theme continues, on this Newmarket Holidays tour, with a visit to the ancient town of Avignon and its curious half bridge of St Benezet – celebrated in the famous French Folk Song about the “Pont d’Avignon”. Newmarket Holidays customers can be certain of capturing all the key tourist sites on any Newmarket Holidays tour, and this one is no exception. A visit to the breathtaking Roman aqueduct, the Pont du Gard at Avignon is a must when visiting the area. The Newmarket Holidays tour takes in this site, whichwas granted UNESCO World Heritage status in 1985 and is regarded as a triumph of Roman Engineering. As with all Newmarket Holidays, this tour of the historic cities of south-east France also includes optional excursions offering Newmarket Holidays customers the chance to tailor the trip to suit their individual preferences. A cruise along the charming Canal-du-Midi, and a chance to take in the pretty port-town of Collure on a day-trip deep into Cathar country, are laid on for Newmarket Holidays travellers to participate in if desired. Newmarket Holidays offers a wide range of interesting tours to India, one of which is the ‘India’s Exotic South and Kerala’ trip. This allows you to explore one of the most beautiful parts of the country; a place filled with ancient temples and churches, tropical forests, traditional villages and stunning beaches. Day one of this tour begins with an overnight flight to Kochi (or Cochin, as it is sometimes called). Upon arrival at the local airport, your Tour Manager will meet up with you and transfer you by coach to your hotel. The next day, there will be a guided tour of Cochin, including a trip to its famous port and the Mattancherry Palace, as well as a beautiful Jewish synagogue. A short ferry ride will then take you to Enrakulam; this area is filled with department stores, cinemas and high rises, which serve as a refreshing contrast to the traditional buildings of Cochin. After the day of touring has finished, you’ll be treated to a classic Kathakali performance – a bright, colourful spectacle that combines dance, music and painting. The fourth day will involve a short trip to Alleppey, considered to be the eastern version of Venice. Once you arrive, you’ll hop on board a houseboat, and take a gentle cruise along the Keralan canals, which are lined with temples, coconut groves and rice fields. As the sun begins to set, the houseboat chef will carry out a cooking demonstration and prepare a delicious, traditional meal for you to enjoy on board. Following this, there will be a guided walk through a nearby village. Day five of the trip begins with a journey into the lush green countryside of Kerala. There will be a short stop in a traditional rubber plantation for lunch, after which you will continue travelling to Periyar, a district which is famed for its beautiful wildlife sanctuary. You and your travel companions will stay here for a couple of nights, during which time you’ll have the opportunity to explore the well-known Spice Plantation, as a tour guide teaches you all about the history of Indian spices and teas. On the sixth day, you can rest and relax in your hotel, or alternatively, take part in an optional excursion (arranged by Newmarket Holidays) to the above-mentioned wildlife sanctuary, where you’ll find elephants and exotic birds, as well as tigers and leopards.